It has been suggested that working outside normal work hours, especially at night, has negative health effects (1, 2), but evidence of an effect of shift work on all-cause mortality is inconsistent (3–12). Several studies (4–6,10), including a recent meta-analysis (13), have reported an increase in all-cause mortality among shift workers, but only a few have detected a statistically significant association (4, 6, 13) while others have found none (3, 9, 12, 14) or inverse an association (7). In 2007, an International Agency for Research on Cancer (IARC) working group classified shift work involving circadian disruption as “probably carcinogenic” to humans (group 2A) (15). The majority of recent studies on the health effects of night shift work have focused on female breast cancer incidence (16), and only a few have examined cancer mortality (5–7). One study found significantly increased mortality from any cancer among female but not among male shift workers (5). Few studies have examined shift work and cancer-specific mortality (6, 7, 17–19). Gu et al (6) found an association with lung cancer mortality and working shifts ≥15 years among American female nurses after adjustment for potential confounders including tobacco smoking. Yong et al (7), found no increase in lung cancer mortality among male chemical shift workers. Carter et al (19) detected an association between rotating shift work and ovarian cancer mortality, whereas Lin et al (17, 18) found no association between shift work and either pancreatic or biliary tract cancer mortality. Shift work has been linked to an increased incidence of coronary or ischemic heart disease (IHD) (20, 21) and diabetes (2, 22), but there is limited evidence on mortality due to cardiovascular disease (CVD) (23) and diabetes (12). To date, no studies have examined the effect of shift work on Alzheimer’s disease, dementia or psychiatric diseases, despite the fact that poor sleep and sleep deprivation have been linked to increased risk of cognitive and neurodegenerative outcomes (24–26). In this study, we examine the association between shift work and all-cause mortality and mortality due to CVD, cancer, diabetes, neurodegenerative and psychiatric diseases in the Danish nurse cohort (DNC). The DNC study (27) was initiated in 1993, when 23 170 female members of the Danish Nurses Organization aged >44 years were invited to participate in this nationwide study inspired by the American Nurses’ Health Study. A total of 19 898 (86%) responded positively. In 1999, the cohort was expanded, adding an additional 10 534 nurses aged 44 years, 8833 (84%) of whom agreed to participate. Cohort participation involved answering a comprehensive self-administrated questionnaire on lifestyle, health, use of hormones and occupational characteristics, including working hours and the work environment. Using a unique personal identification number, we linked the DNC to the Danish Civil Registration System (28) in order to obtain information on cohort participants’ vital status (death, emigration, disappearance, etc) during follow-up until 2013. Shift work data was self-reported by nurses who were in the workforce at the time of recruitment (excluding those who were retired, on sick leave, or unemployed) and nurses who answered the following question on shift work status: “Do you normally work in: a) day, b) evening, c) night, or d) rotating shifts?”. Rotating shifts can be working either day (typically 07:00–15:00 hours) and evening (15:00–23:99 hours) or day, evening and night (23:00–07:00 hours). Information on the deceased cohort participants’ causes of death was obtained from the Danish Register of Causes of Death (29), which contains information on all deaths of Danish residents dying in Denmark. Causes of deaths are coded according to the World Health Organization’s International Classification of Diseases (ICD) version-10 (after 1994) or ICD-8 (before 1994). All death certificates have underlying cause of death and up to four contributory causes of death, which are not mandatory. We examined all-cause mortality as all deaths occurring during follow-up, including 38 deaths registered in the Civil Registration System with missing cause of death data (no record in the Register of Causes of Deaths). We examined the following cause-specific causes of death using the underlying cause of death: total CVD (ICD-10: I00-99, ICD-8: 4010, 4100, 4129, 4279, 4339, 4369, 4412, 4500), IHD (ICD-10: I20-25, ICD-8: 4100, 4129), stroke (ICD-10: I60-69, ICD-8: 4339, 4369), other CVD (ICD-10: I00-09, I26-28, I30-50, I70-99, ICD-8: 4279, 4412, 4500), all-cancer (ICD-10: C00-97 & ICD-8: 1578-79, 1538, 1740, 1621, 1830, 2022, 2041), breast cancer (ICD-10: C50, ICD-8: 1740), lung cancer (ICD-10: C33-34, ICD-8: 1621), ovarian cancer ICD-10: C56, C570-574, ICD-8: 1830), pancreatic cancer (ICD-10: C25, ICD-8: 1578-1579), and colorectal cancer (ICD-10: C18-19, C20, C21, ICD-8: 1538). Additionally, we defined the following cause-specific mortality outcomes based on underlying or contributing cause of death: hypertension (ICD-10: I10-15, ICD-8: 4010); diabetes (ICD-10: E10-14), Alzheimer’s and dementia, combined (ICD10: F00-01, F03, G30), psychiatric and behavioral diseases, combined (ICD-10: F01, F03-99, ICD-8: 2990, 3032, 3040, 5710, 9779). Cox proportional hazard regression model with age as the underlying time scale, was used to analyze mortality (all-cause and cause-specific) as a function of shiftwork, in two different models: crude (age-adjusted as age is underlying time scale) and fully adjusted, additionally adjusted for (i) smoking (never/past/current); (ii) pack-years [defined as 20 cigarettes/day per year, calculated from smoking intensity (number of cigarettes a day) and smoking duration (years)]; (iii) leisure-time physical activity [categorized in low/medium/high and based on the following question: “Which of the following statements describes you best? (a) Exercise heavily and do competitive sports regularly or several times a week; (b) Do sports/heavy gardening or similar ≥4 hours a week; (c) walk, bike or doing other light exercise ≥4 hours a week; (d) Reading, watching television or other sedentary activities”]; (iv) body mass index (BMI) [calculated from self-reported height and weight (kg/m2)]; (v) alcohol consumption (number of drinks per week/none, moderate 1–14, heavy ≥15); (vi) diet [“How often do you eat vegetables and fruits?” (a) Rarely or never, (b) a couple of times a week, (c) daily, or (d) several times a day” and “Do you avoid fatty meat? (yes/no)”]; (vii) pre-existing diseases [based on whether or not participants reported being diagnosed or taking medication to treat the disease hypertension, diabetes or myocardial infarction (MI)]; self-reported health [“How would you evaluate your present state of health? (a) very good, (b) good, (c) moderate, (d) bad, or (e) very bad”]; (viii) work stress [“How often are you so busy that you have difficulties in doing your work tasks? (a) never, (b) rarely, (c) occasionally, (d) often, (e) almost always”]; (ix) marital status (married/separated/divorced/single/widow); (x) female reproductive factors (a) births [“How many children have you given birth to?”, dichotomized into 0/≥1], (b) use of hormone therapy [“Are you or have you previously been on hormone replacement therapy (HRT) with estrogen? (No, I have never been in hormone replacement therapy/I have previously been in hormone replacement therapy/I am currently in hormone replacement therapy)”], and (c) oral contraceptives [“Have you ever used oral contraceptives? (yes/no)”]. Analysis of breast and ovarian cancer mortality were additionally adjusted for number of births and age at first birth. Lastly, we examined whether BMI or a stressful work environment acted as a mediating factors in the association between shift work and all-cause mortality, by examining changes in risk estimates with and without adjustment for BMI and work stress in the fully adjusted model. Of the 28 731 participants in the DNC, 10 716 were excluded for the following reasons: (i) emigration prior to cohort baseline (N=4), (ii) retired, unemployed or on sick leave at the time of cohort recruitment (N=6721), (iii) missing information on shift work schedule (N=669), and (iv) missing information on ≥1 potentially confounding variable(s) (N=3322). The final analysis comprised 18 015 participants. Mean follow-up was 17.6 years, giving a total 316 644 person-years, during which 1616 nurses died, including 217 from CVD, 945 from cancer, 20 from diabetes, 33 from Alzheimer’s or dementia, and 67 from psychiatric diseases. A majority of the nurses worked day shifts (62.6%), followed by rotating (22.0%), evening (10.0%) and permanent night (5.4%) shifts at the time of recruitment (table 1). Night and evening shift work were more prevalent among nurses who died (9.3% and 14.6%) than among those who were alive (5.1% and 9.6%) at the end of follow-up. Nurses who died were older at the recruitment (mean age 54.2 years) than nurses who were alive at the end of follow-up (mean age 49.9 years). Furthermore, nurses who died smoked more, used HRT more frequently, and less oral contraceptives than nurses who remained alive at the end of follow-up. Characteristics of 18 015 nurses at baseline (1993 and 1999) by status (active/dead) at end of follow-up (31 December 2012). b Nurse who were alive and dead at end of follow-up were compared using Pearson’s Chi-squared for categorical variables. c One pack year was defined as 20 cigarettes/year in ever-smokers. Nurses working night shifts were more likely to be current smokers, overweight and obese, and HRT users, but less likely to be married than nurses working other shifts (table 2). Nurses working rotating shifts were more similar to those working day shift than those working night shifts. Mean age [standard deviation (SD)] at baseline was 50.2 (4.7), 51.6 (5.5), 52.9 (5.6) and 49.2 (4.3) years for day, evening, night and rotating shift workers, respectively. Characteristics of 18 015 nurses by working shift type at baseline (1993 and 1999). a Categorical groups compared using Pearson’s Chi-squared. c One pack year was defined as 20 cigarettes/day/year in ever-smokers. Compared to nurses working day shifts, we found a statistically significant increase in all-cause mortality among nurses working evening [hazard ratio (HR): 1.53, 95% confidence interval (95% CI) 1.33–1.77] and night (HR 1.74, 95% CI 1.48–2.07) shifts, and no increase in those working rotating shifts in the crude model. Estimates were attenuated, but remained statistically significant in the fully adjusted model for evening (HR1.29, 95% CI 1.11–1.49) and night (HR 1.26, 95% CI 1.05–1.51) shifts (table 3). These estimates were only slightly enhanced when BMI and perceived stress at work were left out of the fully adjusted model (results are available in supplemental material table C, http://www.sjweh.fi/index.php?page=data-repository). We found a statistically significant increase in CVD mortality among nurses working night shifts (HR 1.71, 95% CI 1.09–2.69) and a weaker, statistically non-significant increase among nurses working evening (HR 1.47, 95% CI 0.98–2.18) and rotating (HR 1.24, 95% CI 0.87–1.77) shifts in the fully adjusted model. We found no associations between cancer mortality and evening (HR 1.15, 0.95–1.40), night (HR 1.05, 95% CI 0.81–1.35), or rotating shift (HR 0.91, 95% CI 0.77–1.08) in the fully adjusted model. We found a strong positive, statistically significant association between night shift work (HR 12.0, 95% CI 3.17–45.2) and diabetes mortality and weaker associations with evening (HR 2.94, 95% CI 0.63–13.7) and rotating (HR 1.57, 95% CI 0.34–7.21) shifts. We found strong positive, statistically significant associations between mortality from Alzheimer’s or dementia among nurses working evening (HR 4.28, 95% CI 1.62–11.3) and rotating (HR 5.39, 95% CI 2.35–12.3) shifts in the fully adjusted model. There was no evidence of association between working night shifts and Alzheimer’s or dementia (HR 0.70, 95% CI 0.09–5.72), but this analysis was based only on a single case. Finally, we found no evidence of an increased risk in mortality from psychiatric diseases. a Model adjusted for age. b Model adjusted for age, smoking, pack-years, physical activity, body mass index (kg/m2), alcohol consumption, diet (vegetables, fruit and fatty meat consumption), pre-existing diseases (hypertension, diabetes and myocardial infarction), self-reported health, stressful work environment, marital status, female reproductive factors (birth, use of hormone therapy and oral contraceptives). We found no significant associations between shift work and mortality due to any of the cancer subtypes examined, including breast, ovarian, lung, colorectal and pancreatic cancer (table 4). When considering specific CVD (table 5), we found the strongest associations with night shift workers who had a statistically significant increased risk of dying from IHD (HR 2.30, 95% CI 1.07–4.92), and evening shift workers who had significantly increased risk of dying from other CVD (HR 2.25, 95% CI 1.18–4.31). We found positive but statistically non-significant association between working night shifts and mortality from hypertension (HR 2.35, 95% CI 0.86–6.37) and stroke (HR 1.98, 95% CI 0.82–4.27). Association between shift work and cancer-specific mortality. [HR=hazard ratio; 95% CI=95% confidence intervals; ref=reference]. c Fully adjusted analysis on breast and ovarian cancer mortality was additionally adjusted for number of births and age at first birth (N=17 919). b Model adjusted for age, smoking, pack-years, physical activity, body mass index (kg/m2), alcohol consumption, diet (vegetables, fruit and fatty meat consumption), pre-existing diseases (hypertension, diabetes and myocardial infarction), self-reported health, stressful work environment, marital status, female reproductive factors (birth, use of hormone therapy, and oral contraceptives). We found that, compared to female nurses working day shifts, nurses working night or evening shifts had statistically significantly elevated all-cause mortality. We found a significant increase in mortality due to CVD and diabetes with night shift work. We also observed a significantly increased risk of Alzheimer’s and dementia with rotating and evening shifts. There was no evidence in our study of an increased risk of overall or cause-specific cancer mortality with evening, night or rotating shift work. Our results confirm the previous findings of Nätti et al (5) and Gu et al of an association between night shift work and all-cause mortality (6). We report a 26% increased risk for all-cause mortality among night shift compared to day shift workers, which is somewhat greater than the 11% increase in all-cause mortality reported by Gu et al among nurses who worked night shifts for ≥5 years, compared to all other schedules (6). Nätti et al reported a 125% increase in all-cause mortality among females with weekly night work as compared to those with day work (5). Notably, Nätti et al found no association with all-cause mortality among male night shift workers, which may suggest different susceptibility by gender. Nätti et al’s observed gender differences were consistent with Åkerstedt et al’s results, where a significant association with mortality was limited to female white-collar night shift workers, whereas none was found among male night workers or female blue-collar workers (10). Gender variation in susceptibility to night work may also explain why our results conflict with studies based on male participants (3, 4, 7, 8, 12). Work schedule is dependent on age, and it has previously been documented that nurses in younger age groups are more likely to work in rotating shifts, whereas nurses >40 years more often work in day or evening shifts (30). However, 90% of nurses working in Denmark have worked night shifts at some point, typically early in their career after completing their training. We found a similar increase in all-cause mortality for night (26%) and evening (29%) shift workers. This might be explained by the fact that a large number of nurses who worked evening shifts at the time of cohort recruitment have worked night shifts earlier in their career. Another possible explanation for the increased mortality among evening workers might be that this work schedule is associated with an increase in social stress and more work-family related conflicts. Furthermore, other unmeasured potentially confounding variables such as weekly working hours could explain these findings. The lack of association between rotating shift work and all-cause mortality is possibly explained by the fact that rotating shift work involves day, evening and night shifts or only day and evening shifts and few night shifts in a sequence, probably resulting in minor circadian disturbance. A Danish report on occupational health among nurses from the Danish Nurses Organization, reveals that 43% of nurses aged 20–29 years work rotating 3-shifts, while this attenuates to 20% among nurses aged 40–49 years and 12% among those aged 50–59 years, indicating that 3-shift rotating work is more prevalent early in the career, and thus making it less prevalent in our cohort (30). Alternatively, the lack of association between rotating shifts and all-cause mortality might be explained if a high proportion of previous rotating shift workers changed to day shifts positions. This could result in increased mortality rate among day workers and an underestimation of the impact of shift work (30). The IARC has classified shift work that involves circadian disruption as “probably carcinogenic to humans” (group 2A) due to increased risk of breast cancer incidence among women (31). We found no association between shift work and all-cancer mortality, in agreement with Gu et al (6), and in contrast to Nätti et al (5). Furthermore, no evidence of an increase in mortality related to shift work was found for any specific cancers including cancer of the breast, which is in agreement with some of the previous studies (6, 7, 17). However our findings are in conflict with increased mortality due to ovarian cancer reported by Carter et al (19) and increased mortality due to lung cancer (≥15 years of rotating night shift work) and breast cancer reported by Gu et al (6). Gu et al. found an association with breast cancer mortality only among those working night shifts ≥30 years (HR 1.47, 95% CI 0.94–2.32), and none with more recent exposures, suggesting the relevance of early exposure for the development for breast cancer (6). This in line with Menegaux et al (32) who found the strongest risk of developing breast cancer among women who worked night shifts for >4 years before their first full-term pregnancy, a period where mammary glands are not completely differentiated and possibly more susceptible to circadian disruption effects. Thus lack of effects of shift work on breast cancer mortality in our study may be due, at least in part, to lack of information on shift work duration and shift work schedules, before the first childbirth. We found a 71% increase in CVD mortality among nurses working night shifts, which was considerably higher than the 19% and 23% detected in American nurses with ≥5 and ≥15 years of night shift work, respectively (6). We furthermore found the highest increased rate (130%) related to night shift work for IHD mortality, which is consistent with some studies (6, 33, 34), however is inconsistent with others (8, 35, 36). Inconsistencies are likely explained by differences in study populations in terms of the gender and age of included subjects. Knutsson et al’s case–control study of MI incidence detected associations with both male and female shift workers, but found substantially higher risk [odds ratio (OR) 3.0, 95% CI 1.4–6.5] among females aged 45–55 years than males of the same age (OR 1.6, 95% C 1.1–2.4) (37). Since the majority (~80%) of participants included were 44–55 years of age at the time of recruitment, a large proportion of the shift-working nurses in our study might, based on the results of Knutsson et al, be at particularly high risk of developing MI due to shift work, possibly explaining strong effects observed in our study and the lack of association between shift work and IHD mortality in most studies based on male participants (8, 35, 36). We also found statistically non-significant associations between night shift work and risk of dying from hypertension and stroke and increased risk of dying from other CVD among evening shift workers. These findings agree with Vyas et al’s recent meta-analysis that has linked shift work to increases in the incidence of various vascular events including, MI (23%), ischemic stroke (5%) and coronary events (24%) (20). Disruption of circadian rhythms is thought to be the plausible mechanisms linking shift work with CVD through multifactorial pathways (38, 39), involving weight gain, physical inactivity, development of type II diabetes, and other pathways (38). The highest rate ratio associated with night shift work in this study was observed for diabetes mortality, however, the results are based on a limited number of diabetes deaths (N=8) and therefore somewhat unstable. Our results are considerably stronger than the effect in the Karlsson et al (12) study of Swedish male workers from the pulp and paper industry (HR 1.24, 95% CI 0.91–1.70). Karlsson et al included males enrolled at age 10 in 1952 and used shift work as a dichotomized exposure (all shift versus day worker), but, on the other hand, included data on duration of shift work and found strong indication of a positive dose–response relationship with diabetes mortality. We have recently reported a strong significant association between night shift work and diabetes incidence (HR 1.58, 95% CI 1.25–1.99) in the DNC (12). Results based on the Nurses’ Health Study I and II (40) and the Black Women’s Health Study (41) also detected an association between night shift work and diabetes incidence. We provided novel results of the strong increase in mortality from Alzheimer’s and dementia among nurses working evening and rotating shifts. To our knowledge this is the first study to report such an association. However, our results are based on a limited number of cases (33 deaths in total), and further studies of this issue are clearly warranted. Studies have put forth plausible biological mechanisms suggesting that sleep disturbance results in substantial detrimental cognitive effects (26). Unlike for all-cause mortality where no effect of rotating shifts was observed, we found the strongest associations for Alzheimer’s and dementia among rotating shifts workers. This result may suggest relevance of other mechanisms, possibly stress-related for Alzheimer’s and dementia than for all-cause mortality where circadian disruption may be more relevant. Furthermore, recent studies have shown an association between short sleep duration with greater β-amyloid (Aβ) burden, a biomarker of Alzheimer’s progression (25), and that better sleep consolidation substantially attenuated the negative effects of the apolipoprotein E ε4 allele, a common genetic risk factor for Alzheimer’s (24). A major strength of this study is the utilization of a nationwide prospective cohort of 18 015 female nurses, with detailed information on work schedules (night, evening, rotating, day), lifestyle, BMI, history of diseases, and reproductive factors at the time of cohort enrolment, and long follow-up for overall and cause-specific mortality in a national registry. In contrast to the commonly used shift work definition as a dichotomous exposure, typically comparing day to shift workers and combining evening, night and rotating shifts, in this study we were able to separate effect of night, evening and rotating shift in comparison to day shift work for the first time in a study of mortality. We excluded 10 716 (~37%) of the participants due to missing values. A majority of the participants (6721) were excluded because the question about work schedule was aimed at nurses working (74%) at the time of recruitment only. We found that the age-adjusted mortality was significantly higher among excluded nurses (HR 4.07, 95% CI 3.84–4.31) compared to included nurses, as expected since excluded nurses were on average 10 years older (mean age 60.0 years versus 50.2 years) at the time of recruitment. This is explained by the fact that a majority of excluded nurses were retired or on sick leave or disability retirement at the time of recruitment, and were therefore not included in the assessment of shift work. We found no major differences in lifestyle, BMI, or other characteristics between included and excluded nurses (supplemental material tables A and B, http://www.sjweh.fi/index.php?page=data-repository). A major limitation of this study is the lack of data on intensity and duration of shift work in terms of the number of shifts per week or month, number of working hours per shift, and number of years working in shift work. The exposure was only assessed at baseline with no follow-up on changes in work schedule, potentially introducing exposure misclassification. However the nurses were followed from age 44 years when in general it is less likely for nurses to change work schedule than earlier in their careers. We also lacked information on duration of recovery periods and work schedules early in their career (from completion of professional training to cohort recruitment) and information on different types of rotating shift schedule, particularly whether or not rotating shifts involved night shifts. Another limitation is the small number of deaths for some of the examined outcomes (eg, diabetes and Alzheimer’s and dementia), resulting in wide confidence intervals, and our findings need to be replicated in larger studies. Furthermore, the registration of underlying and contributory causes of death relies entirely on the physician responsible for completing the death certificate, without central validation, which together with increasing diagnostic facilities influence the accuracy and correctness of the register and changes in mortality rates over the years (29). Healthcare professionals are generally considered to be healthier than the general population, and a “healthy worker effect” might have biased our results. Nurses participating in this cohort have been found to be healthier than Danish women in general, as they smoked less and had higher levels of physical activity, but on average they consumed more alcohol (27, 42). However, there were no major health differences between nurses and the rest of Danish female population in use of healthcare and disease occurrence (27, 42). In conclusion, we found evidence of an increased all-cause mortality risk among female nurses working in night or evening shifts, compared to those working in day shifts. We further found evidence of increased mortality due to CVD and diabetes, and Alzheimer’s and dementia, while there was no evidence of an increased risk in mortality from psychiatric diseases and overall or cause specific cancer. Additional studies of mortality among shift workers are warranted. Hughes, V. (2015). Health Risks Associated with Nurse Night Shift Work: A Systematic Review. GSTF J Nurs Heal Care, 2, 39-44, https://doi.org/10.5176/2010-4804_2.2.74. Wang, XS, Armstrong, MEG, Cairns, BJ, Key, TJ, & Travis, RC. (2011). Shift work and chronic disease: The epidemiological evidence. Occup Med (Chic Ill), 61, 78-89, https://doi.org/10.1093/occmed/kqr001. Taylor, PJ, & Pocock, SJ. (1972). Mortality of shift and day workers 1956-68. Br J Ind Med, 29, 201-7, https://doi.org/10.1136/oem.29.2.201. Knutsson, A, Hammar, N, & Karlsson, B. (2004). Shift workers’ mortality scrutinized. Chronobiol Int, 21, 1049-53, https://doi.org/10.1081/CBI-200035942. Natti, J, Anttila, T, Oinas, T, & Mustosmaki, A. (2012). Night work and mortality: prospective study among Finnish employees over the time span 1984 to 2008. Chronobiol Int, 29, 601-9, https://doi.org/10.3109/07420528.2012.675262. Gu, F, Han, J, Laden, F, Pan, A, Caporaso, NE, Stampfer, MJ, et al. (2015). Am J Prev Med (Vol. 48). Elsevier. Total and cause-specific mortality of U.S. nurses working rotating night shifts, pp. 241-52. Yong, M, Nasterlack, M, Messerer, P, Oberlinner, C, & Lang, S. (2014).  A retrospective cohort study of shift work and risk of cancer-specific mortality in German male chemical workers. Int Arch Occup Environ Health, 87, 175-83, https://doi.org/10.1007/s00420-013-0843-3. Bøggild, H, Suadicani, P, Hein, HO, & Gyntelberg, F. (1999). Shift work, social class, and ischaemic heart disease in middle aged and elderly men;a 22 year follow up in the Copenhagen Male Study. Occup Environ Med, 56, 640-5, https://doi.org/10.1136/oem.56.9.640. Shives, B, & Riley, B. (2013). Towards evidence based emergency medicine: best BETs from the Manchester Royal Infirmary. BET 2: Is shift work bad for you? Emerg Med J, 30, 859. Akerstedt, T, Kecklund, G, & Johansson, S-E. (2004). Shift work and mortality. Chronobiol Int, 21, 1055-61, https://doi.org/10.1081/CBI-200038520. Lin, X, Chen, W, Wei, F, Ying, M, Wei, W, & Xie, X. (2015). Night-shift work increases morbidity of breast cancer and all-cause mortality: A meta-analysis of 16 prospective cohort studies. Sleep Med [Internet], 16, 1381-7, https://doi.org/10.1016/j.sleep.2015.02.543. Karlsson, B, Alfredsson, L, Knutsson, A, Andersson, E, & Torén, K. (2005). Total mortality and cause-specific mortality of Swedish shift- and dayworkers in the pulp and paper industry in 1952-2001. Scand J Work Environ Health, 31, 30-5, https://doi.org/10.5271/sjweh.845. Lin, X, Chen, W, Wei, F, Ying, M, Wei, W, & Xie, X. (2015). Night-shift work increases morbidity of breast cancer and all-cause mortality: A meta-analysis of 16 prospective cohort studies. Sleep Med, 16, 1381-7, https://doi.org/10.1016/j.sleep.2015.02.543. Bøggild, H, Suadicani, P, Hein, HO, & Gyntelberg, F. (2000). Shift work, social class and ischemic heart disease in middle-aged and elderly men. A 22-year follow-up in the “Copenhagen Male Study.”. Ugeskr Laeger, 162, 1882-6.
International Agency for Research on Cancer (IARC). (2007). IARC Working Group on the Evaluation of Carcinogenic Risks to Humans. Tobacco smoke and involuntary smoking. IARC Work Gr Eval Carcinog Risks to Humans, 98. Stevens, RG, Brainard, GC, Blask, DE, Lockley, SW, & Motta, ME. (2014). Breast Cancer and Circadian Disruption From Electric Lighting in the Modern World. CA Cancer J Clin, 64, 207-18, https://doi.org/10.3322/caac.21218. Lin, Y, Ueda, J, Yagyu, K, Kurosawa, M, Tamakoshi, A, & Kikuchi, S. (2013). A prospective cohort study of shift work and the risk of death from pancreatic cancer in Japanese men. Cancer causes Control, 24, 1357-61, https://doi.org/10.1007/s10552-013-0214-0. Lin, Y, Nishiyama, T, Kurosawa, M, Tamakoshi, A, Kubo, T, Fujino, Y, et al. (2015). Association between shift work and the risk of death from biliary tract cancer in Japanese men. BMC Cancer, 15, 757, https://doi.org/10.1186/s12885-015-1722-y. Carter, BD, Ryan Diver, W, Hildebrand, JS, Patel A, V, & Gapstur, SM. (2014). Am J Prev Med (Vol. 46). Elsevier. Circadian disruption and fatal ovarian cancer, pp. S34-41. Vyas, MV, Garg, a. X, Iansavichus, a. V, Costella, J, Donner, A, Laugsand, LE, et al. (2012). Shift work and vascular events: systematic review and meta-analysis. Bmj, 345, e4800, https://doi.org/10.1136/bmj.ne4800. Vetter, C, Devore, EE, Wegrzyn, LR, Massa, J, Speizer, FE, Kawachi, I, et al. (2016). Association Between Rotating Night Shift Work and Risk of Coronary Heart Disease Among Women. Jama, 315, 1726-34, https://doi.org/10.1001/jama.2016.4454. Hansen, AB, Stayner, L, Hansen, J, & Andersen, ZJ. (2016, Apr). Night shift work and incidence of diabetes in the Danish Nurse Cohort. Occup Environ Med, 73, 262-8, https://doi.org/10.1136/oemed-2015-103342. Frost, P, Kolstad, HA, & Bonde, JP. (2009). Shift work and the risk of ischemic heart disease - a systematic review of the epidemiologic evidence. Scand J Work Environ Health, 35, 163-79, https://doi.org/10.5271/sjweh.1319. Lim, ASP, Yu, L, Kowgier, M, Schneider, JA, Buchman, AS, Bennett, DA, et al. (2013). JAMA Neurol (Vol. 70). American Medical Association. Modification of the Relationship of the Apolipoprotein E ε4 Allele to the Risk of Alzheimer Disease and Neurofibrillary Tangle Density by Sleep, pp. 1977-81, https://doi.org/10.1001/jamaneurol.2013.4215. Spira, AP, Gamaldo, AA, An, Y, Wu, MN, Simonsick, EM, Bilgel, M, et al. (2013). JAMA Neurol (Vol. 70). American Medical Association. Self-reported Sleep and β-Amyloid Deposition in Community-Dwelling Older Adults, pp. 86-93, https://doi.org/10.1001/jamaneurol.2013.4258. Walker, MP. (2008). Cognitive consequences of sleep and sleep loss. Sleep Med, 9(Suppl 1), S29-34, https://doi.org/10.1016/S1389-9457(08)70014-5. Hundrup, YA, Simonsen, MK, Jørgensen, T, & Obel, EB. (2012). Cohort profile: The danish nurse cohort. Int J Epidemiol, 41, 1241-7, https://doi.org/10.1093/ije/dyr042. Pedersen, CB. (2011). The Danish Civil Registration System. Scand J Public Health, 39, 22-5, https://doi.org/10.1177/1403494810387965. Helweg-Larsen, K. (2011). The Danish Register of Causes of Death. Scand J Public Health, 39, 26-9, https://doi.org/10.1177/1403494811399958. Wethje, A, & Borg, V. (2005, [cited 2016 Jul 5]). Sygeplejerskers arbejdsmiljø, trivsel og helbred [Internet], 1-31, Available from: www.dsr.dk. IARC Working Group on the Evaluation of Carcinogenic Risks to Humans. (2010). Painting, firefighting, and shiftwork. IARC Monogr Eval Carcinog Risks Hum, 98, 9-764. Menegaux, F, Truong, T, Anger, A, Cordina-Duverger, E, Lamkarkach, F, Arveux, P, et al. (2012). Night work and breast cancer: A population-based case-control study in France (the CECILE study). Int J Cancer, 132, 924-31, https://doi.org/10.1002/ijc.27669. Fujino, Y, Iso, H, Tamakoshi, A, Inaba, Y, Koizumi, A, Kubo, T, et al. (2006, Jul). Am J Epidemiol (Vol. 164). United States: . A prospective cohort study of shift work and risk of ischemic heart disease in Japanese male workers, pp. 128-35. Kawachi, I, Colditz, GA, Stampfer, MJ, Willett, WC, Manson, JE, Speizer, FE, et al. (1995, Dec). Circulation (Vol. 92). UNITED STATES: . Prospective study of shift work and risk of coronary heart disease in women, pp. 3178-82. McNamee, R, Binks, K, Jones, S, Faulkner, D, Slovak, A, & Cherry, NM. (1996). Shiftwork and mortality from ischaemic heart disease. Occup Env Med, 53, 367-73, https://doi.org/10.1136/oem.53.6.367. Yadegarfar, G, & McNamee, R. (2008). Shift work, confounding and death from ischaemic heart disease. Occup Environ Med, 65, 158-63, https://doi.org/10.1136/oem.2006.030627. Knutsson, A, Hallquist, J, Reuterwall, C, Theorell, T, & Akerstedt, T. (1999, Jan). Occup Environ Med (Vol. 56). ENGLAND: . Shiftwork and myocardial infarction: a case-control study, pp. 46-50. Puttonen, S, Härmä, M, & Hublin, C. (2010). Shift work and cardiovascular disease - Pathways from circadian stress to morbidity. Scand J Work Environ Heal, 36, 96-108, https://doi.org/10.5271/sjweh.2894. Bøggild, H, & Knutsson, A. (1999, Apr 25). Shift work, risk factors and cardiovascular disease. Scand J Work Environ Health, 85-99, https://doi.org/10.5271/sjweh.410. Pan, A, Schernhammer, ES, Sun, Q, & Hu, FB. (2011). Rotating night shift work and risk of type 2 diabetes: two prospective cohort studies in women. PLoS Med, 8, e1001141, https://doi.org/10.1371/journal.pmed.1001141. Vimalananda, VG, Palmer, JR, Gerlovin, H, Wise, LA, Rosenzweig, JL, Rosenberg, L, et al. (2015, Apr 14). Diabetologia (Vol. 58). Springer Berlin Heidelberg. Night-shift work and incident diabetes among African-American women, pp. 699-706. Friis, K, Ekholm, O, & Hundrup, YA. (2005). Comparison of lifestyle and health among Danish nurses and the Danish female population: Is it possible to generalize findings from nurses to the general female population? Scand J Caring Sci, 19, 361-7, https://doi.org/10.1111/j.1471-6712.2005.00366.x. Relevant Danish ethical committees and Danish Data Protection Agency approved this study (j.nr. 2015-41-4307), and participants provided written informed consent at recruitment.